Short Bytes: This week in Linux and open source news, we read about the release of Linux kernel 4.8 and Plasma 4.8 desktop. There were other notable open source releases like Google Noto font and Cartographer. 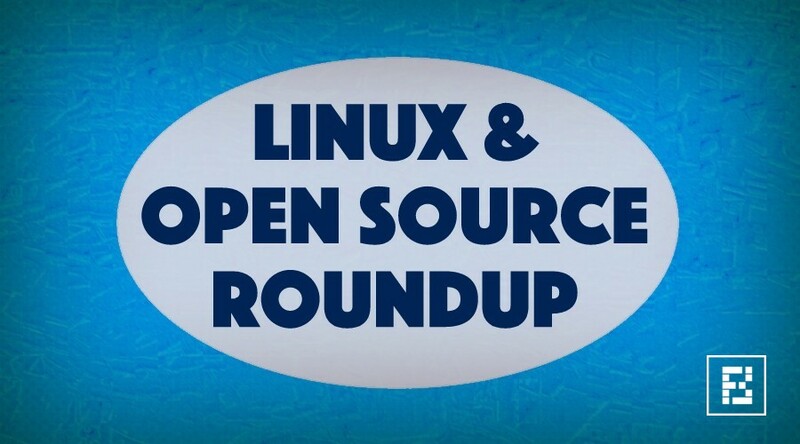 To know more, read our Linux & Open Source Weekly Roundup and stay updated! After 8 Release Candidates, Linux Torvalds released kernel 4.8. The latest release offers better support for new hardware and components. Now, users get AMDGPU OverDrive, NVIDIA, Pascal and Raspberry Pi 3 SoC support. For more information, read our article. Download the latest kernel here. KDE Students Programs has announced the 2016-2017 Season of KDE. Interested people can participate in mentored projects to enhance KDE. Successful mentees team will get a certificate of completion and other goodies. A developer named Andrew Ayer has pointed out a bug in Systemd that could be used to cause a denial-of-service. Read his detailed post on his blog. After 5 years of development, Google and Monotype has released Google Noto Font. Thus typeface spans more than 800 languages, 100 writing systems, and thousands of characters. This effort aims at developing a font with harmonious look and feel in all languages. Grab Google Noto fonts here. GNOME 3.24 will arrive on March 22, 2017. It’ll be the next major release that follows the release of GNOME 3.22. You can find the complete GNOME release schedule here. Google has open source Cartographer. It’s a real-time simultaneous localizations and mapping library (SLAM) with ROS support. With this release, Google aims to advance and democratize SLAM as a technology. KDE developers are celebrating the 20 years of KDE Project with Plasma 5.8 desktop. Being an LTS release, it’ll be supported till 2018. This release also marks the end of support for Plasma 5.7.5. The latest release arrives with Wayland server improvements, support for right to left languages, and visual features. Users can download Plasma Live images from KDE website. Minibox Mini Pro is a major hardware upgrade that comes at a price of $395. You get significant improvements in terms of storage, RAM, processor, wireless etc. While Mintbox supports different versions of Windows OS and Linux distros, it comes pre-installed with Linux Mint 18 Cinnamon. In the third quarter of 2016, Mozilla Open Source Support program (MOSS) has awarded more than $300k to four projects. These ‘plumbing’ projects, including Redash, Kea, Review Board, and Speech Rule Engine, are a part of the foundation for building software, and improving accessibility. Massimo Banzi and Federico Musto, co-founders of the Arduino Project, have announced that they have settled their differences with the creation of a new Arduino foundation. The new not-for-profit “Arduino Foundation” will be established to maintain the open source Arduino desktop IDE. The KDE neon Linux distribution developers have released the latest KDE neon 5.8 Release. It’s based on the recently released KDE Plasma 5.8 desktop. For those who don’t know, KDE neon is a great choice for home users, developers, and Linux enthusiasts. Before the final Linux Lite 3.2 Release on November, the beta version arrived to give you an idea of what’s coming. The beta version arrives with a new Lite Desktop widget. Also, the GRUB bootloader has been set to its default configuration to enable multibooting of other operating systems. NixOS 16.09, the latest version of NixOS, the independent distro with Nix package manager, has been released with new security features and better disk management. This release also comes with X.org server 1.1 and support for PXE netboot. The default Linux kernel is 4.4. Linuxium–developer Ian Morrison–released different Ubuntu builds for Intel-based PCs that are based on Bay Trail and Cherry Trail SOCs. This solves different problems with HDMI audio, Wi-Fi, Bluetooth, etc. OpenSUSE Leap 42.2 Beta 3 arrived as the last beta for 42.2 with upgraded VirtualBox. An important chnage comes in the for of shift to the latest Plasma 5.8.0. Did we miss something? Don’t forget to drop your feedback in the comments section below.